Welcome to the Travel Trinket and Memories Challenge! Being a big fan of several Photo Challenges, I am going to try and host one myself. I am not sure how long it will last but would love it if you could take part! Over the years as I have become a more experienced and seasoned traveler I have come to realise that my travels are not all about shopping! The people, the places, the experiences, the culture, the food, the music, the customs and all that is different and exciting are what stay with me and my memories and photos are what I collect now. However having said that I do like to collect one or 2 little things that remind me of places and as I look around my living room I see small trinkets that take me back to my travels and ignite memories of places, people, noises and smells. In a recent One Word Photo Challenge post I used a trinket as a lead in. It got me looking at all my other trinkets and thinking about past adventures. I’d like to take a few weeks, months maybe a year to introduce some of these small trinket treasures and share the memories. If you would like to share some of your trinkets and memories please feel free to join me and post a link on my blog post or on this page. I will update this page regularly with your contributions. If I inadvertently miss your post , apologies! and please give me a friendly prod and I will sort it! Create a post about some trinket and the memories attached with it. Mine are generally travel related but please don’t feel you are limited to travel only memories. As far as I’m concerned it is a journey down memory lane! 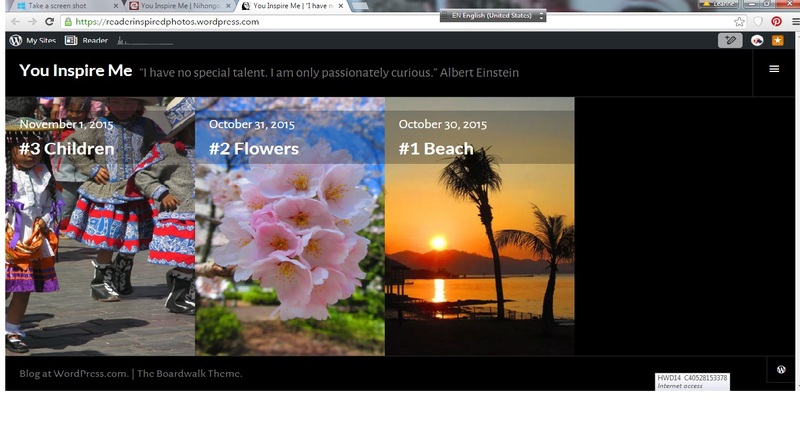 Add a link to my challenge page in your blog post https://nihongojapango.wordpress.com/please-join-my-challenge/ so I can get pingback and then share your post on my challenge summary page. To make it easy for others to check out your photos and post, title your blog post “Travel Trinket and Memories Challenge” tag. I usually will respond to your entry on your blog, rather than on my page. I’d love to join you in your retrospective travels down memory lane. I am going to try and post one a week so please join me. Please check out other peoples posts! I know I love it when people check out my posts on other challenges. It is appreciated and encouraging. Check out these entries to date. I find this as a reader, absolutely. If the minor characters seem real/memorable it’s due to the fact that &#8t;61some2hing’ about their own sense of self/history/goals slips through into the narrative. Hi there! I am in the middle of a big move home to New Zealand and helping my parents pack up and down size. All my knickknacks are packed up for the moment so I am on a bit of a sabatical. My blog posts are a little slow for the moment too. Hello Leanne, Thank you for your love and sharing your world with me. I find your blog inspiring, a lot of care and work put into it. I share your love of traveling, although I have been to Japan I thought it will tough to live there. Does the language help? Beneath the politeness of its people I felt and icy cold wall. An impenetrable culture. Yes I think the language does help. Most of my very good friends and support crew are Japanese who have lived abroad so have had experiences outside their own culture. There are times I really just don’t understand the way of thinking but I guess those are the times I just accept I am living in a foreign culture! Thanks for your visit and kind words! Hi Rose I have started a Monday meme post / challenge. I am posting on Monday but if you want to join and post on Thursday that is fine! I have set it up like this trinket challenge. I will list anyone who shares post on my Monday meme page with a link to their post. No set date for posting. I will just put it on the week it comes in. Not sure if this is what you are thinking of? My first post will go up on Monday 19th of Oct . Check it out and if it appeals please join in! Oh that sounds fun! Can you please tag me? 🙂 So I can surely check it out? Not sure how to Tag but I have added it to my Blog home page across the top next to Please join my challenge. It is going live on Monday 19th! Hopefully you will see the first post go up! I like the idea because it is a quick fun post and one that you schedule ahead of time. Hope you can join in! great! Hope to see a post from you! Thanks for sharing this to Writing 101! Somehow I’ve missed it, even though you mentioned the OWPC (thanks for that). I hope to join in soon! I hope you do! I know you are super busy but I love your work! Thank you so much. And I do plan to. I’m terrible at contributing to challenges regularly (I only keep up with OWPC bc I host it 😛 ). But I will most definitely share to your challenge as much as I can. Your OWPC is amazing! Mine is a baby compared to yours. I can appreciate how much time it must take you! and it is so well thought out and presented. Writing 101 has been my focus this month but looking forward to getting back into your challenge next month! Writing 101 has been better than I could have imgined. I need to go back through and read more of your posts. Looking at your collaboration with a 9 year old now. Thank you so so much for your kind words. I keep tweaking as I learn from mistakes. But I’m happy it’s doing so well. I’ll take your word that yours still has room to grow, but it looks spectacular, so I’m sure it will keep gaining new participants.